What's one to do when they planned to stain their deck rails? 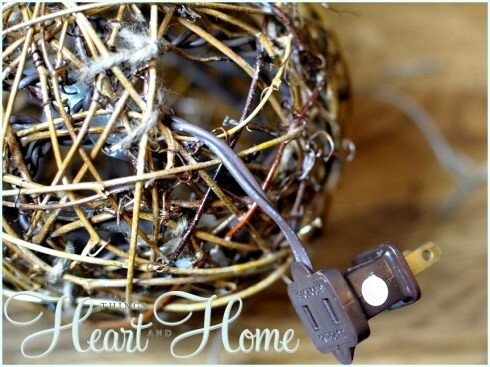 They make an easy to make whimsical DIY chandelier out of grapevine orbs and mini lights instead! Different sized spheres were picked up and stuffed with lights. Then a branch was used to hold up the works. 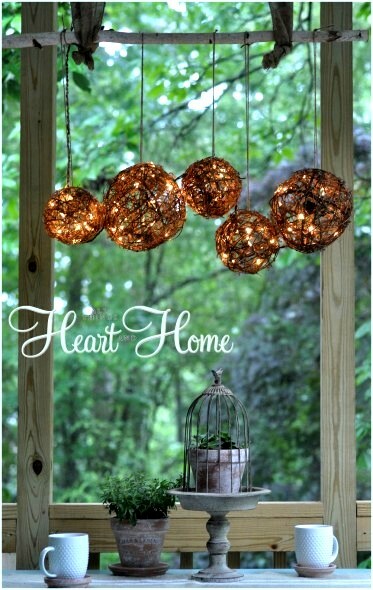 Grapevines and branches just look right with nature, so this creative light fits right in! I love the rustic quirkiness. It's just really different and truly couldn't be easier to make! So cute, I love it. May have to make one for our log homes front porch.